You might had read a lot about iphone getting unlocked on the internet . Even I made a post about the unlocking of iphone earlier . 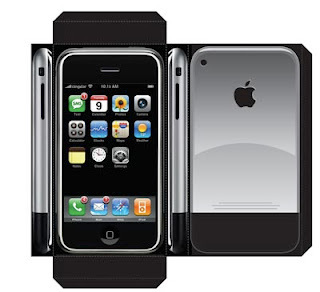 But Apple recently updated the existing software of the phone and also stopped selling it to users who give cash . Amongst these speculations , Can you buy a iphone in India ? Technova will try to help you with this article . Iphone is not available officially at Apple stores or other branded outlets presently in India . You can get it from places like Palika bazar in Delhi where electronic goods are sold massively . You can also buy iphone online via websites [ Ebay is not going to sell unlocked iphones as they entered a agreement with Apple ] ..... Normally people who supply iphone don't give their address to everyone due to legal issues they have . Iphone works with all GSM networks . The only feature that wont work with a unlocked iphone is Visual Voicemail . You can just replace the AT&T sim with your GSM sim . Rumours are there that iPhone may be available in India legally via Wipro and HCL as they were expected to sign a distribution deal soon with Apple for selling iPhone in India. But its a rumour so far . Bought a unlocked iphone ??. Take this precaution to prevent it from getting locked again !! If you are connecting to iTunes for transferring music, videos and photographs from the computer to the iPhone, iTunes may suggest that you upgrade the iPhone firmware to version 1.1.1 - Cancel and do not allow iTunes to update your iPhone as it will get locked again and become useless. But the new unlocked iPhones are shipping in India with firmware version 1.1.1. Note : Unlocking by people other than Apple is a violation of Apple terms and conditions . So you might loose the warranty .